Maebashi castle (前橋城) is located on the edge of Tone-gawa river at the center of Maebashi city. 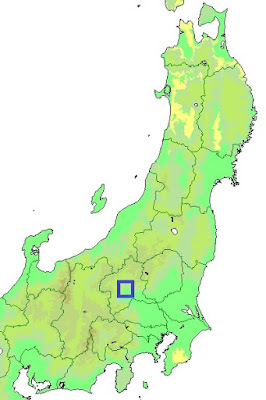 Maebashi city is one of the center of Kozuke province (Gunma prefecture), as it faces steep cliff of Tone-gawa river and a suitable place for defense. 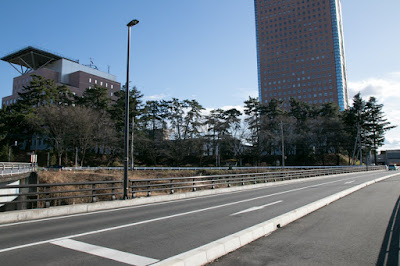 Besides, Maebashi area is a crossing point of road from Kanto region to Echigo province (Niigata prefecture) along Tone river and road from Usui Toge pass to eastern Kanto region. 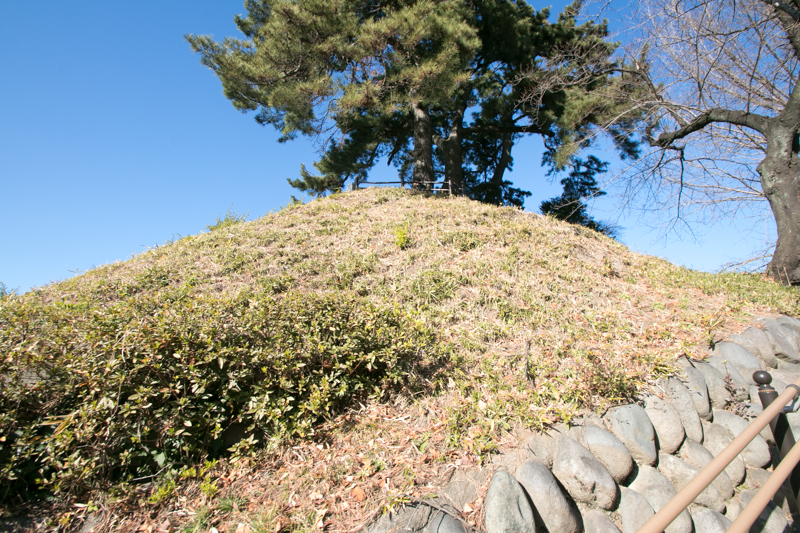 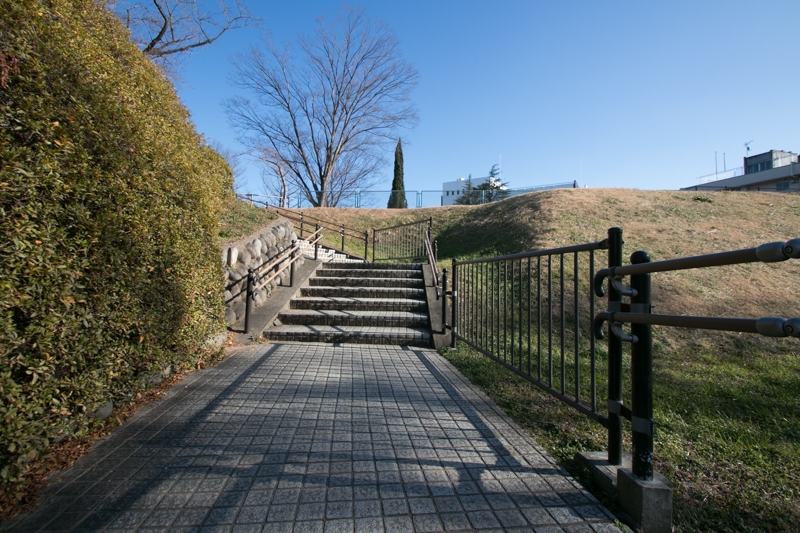 Due to its geographical location, As a important place of defense and communication, Maebashi castle changed it holder frequently based on surrounding circumstance. 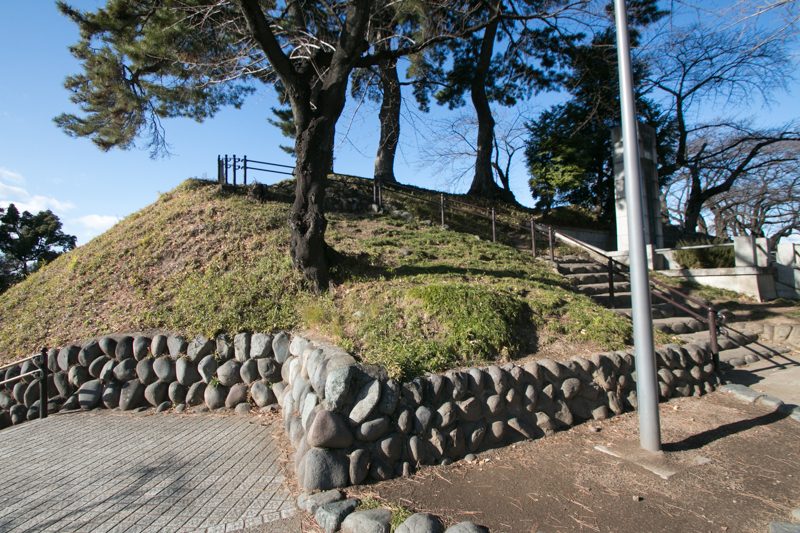 Maebashi castle (formerly named as Mayabashi castle) is said to be built around 1470 originally by Shirai Nagao clan, retainer of Yamanouchi Uesugi clan. 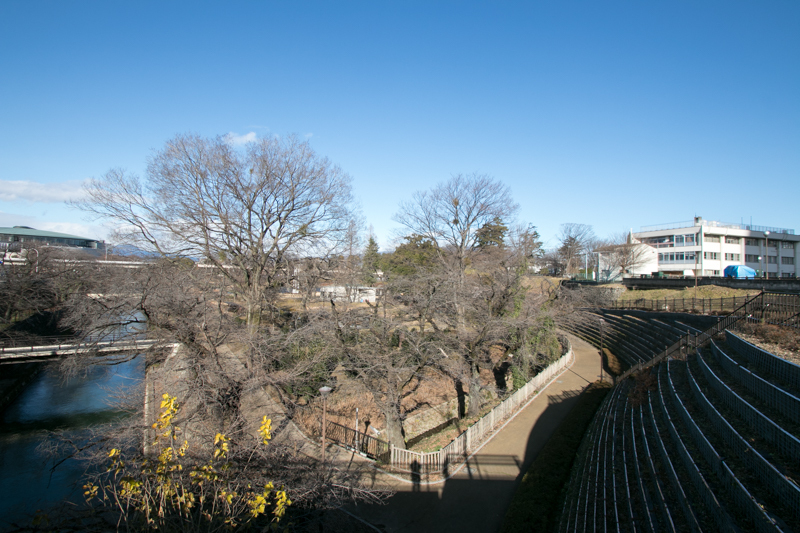 Originally there was a castle named Ishikura castle ahead of castle (current at the bottom of river) and Maebashi castle was the outer area of Ishikura castle. But central area of Ishikura castle was destructed by severe flood of Tone river and new castle was built utilizing remaining part of former castle. Yamanouchi Uesugi clan was a traditional great power of Kanto region hold Kanto Kanrei (general governor of Kanto) position, but they were defeated by Hojyo clan, a warlord of Sagami country (Kanagawa prefecture) at the battle of Kawagoe castle in 1546. 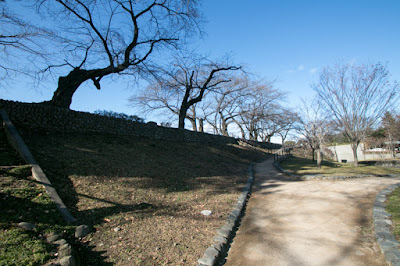 Norimasa Uesugi (1523-1579), leader of the clan, run away to Echigo country (Niigata prefecture) asking for assistance from Kenshin Uesugi (1530-1578), a warlord or Echigo country in 1552. 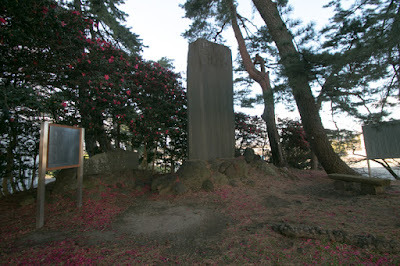 This time Nagano clan once belonged to Hojyo clan with Maebashi castle. 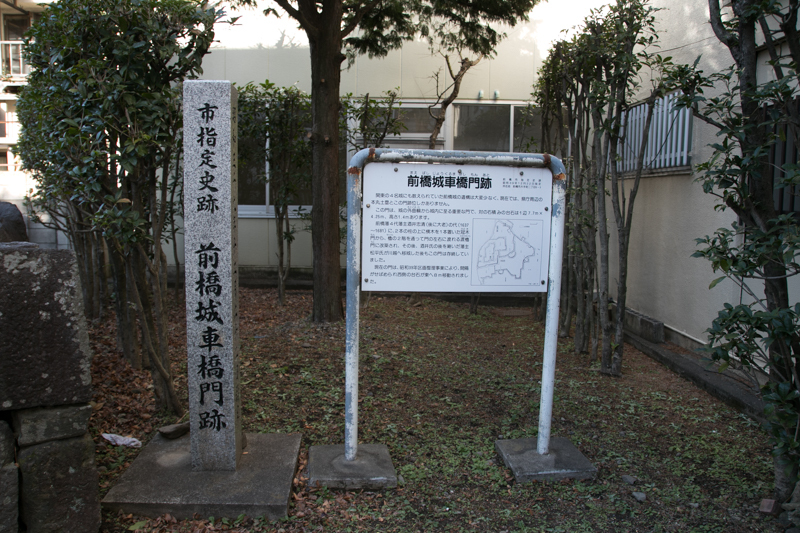 Kenshin Uesugi was given the title of Kanto Kanrei from Norimasa, and made large expedition to Kanto region to beat Hojyo clan in 1560. 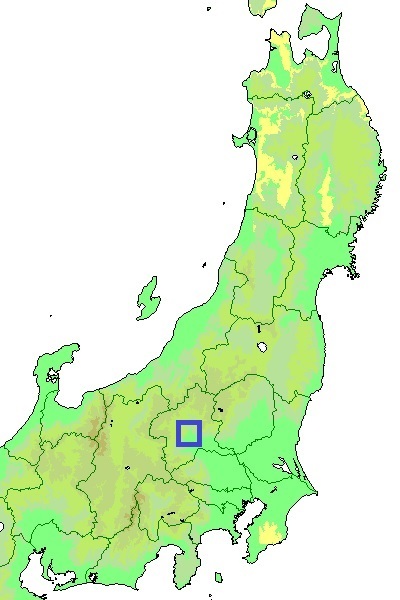 Even though Kenshin could not extinguish Hojyo clan besieged at Odawara castle (Kanagawa prefecture), he retrieved most part of Kouzuke country (Gunma prefecture). 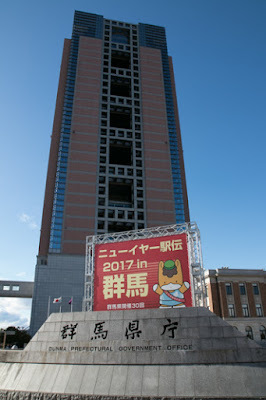 Kenshin expanded Maebashi castle as his main base at Kouzuke country, and Maebashi castle became regarded as one of seven excellent castles in Kanto region along with along with Kanayama castle, Kawagoe castle, Oshi castle, Utsunomiya castle, Tage castle and Karasawayama castle. 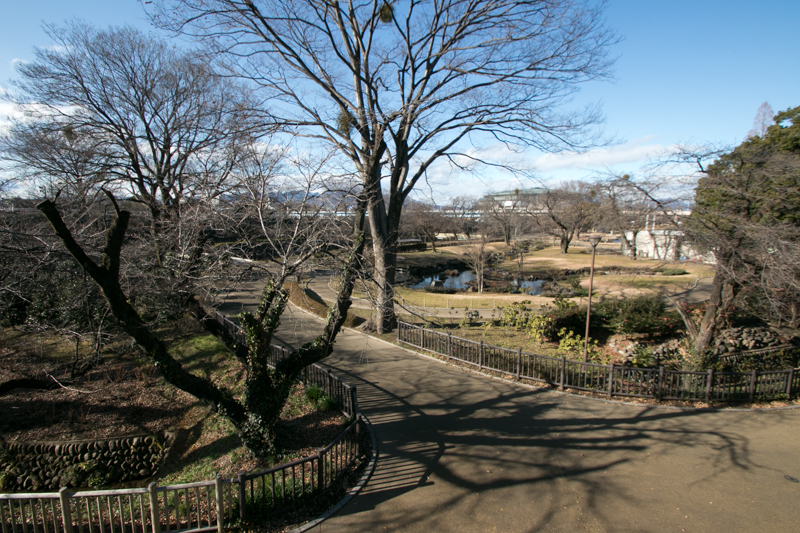 Two years later, an ally of Hojyo and Takeda army attacked and once captured Maebashi castle, but Kenshin promptly recaptured it and placed his general Takahiro Kitajyo (1517?-1587?). Takahiro was a brave general but unsettled, thus in 1567 he changed to Hojyo side with Maebashi castle by invitation of Hojyo clan. 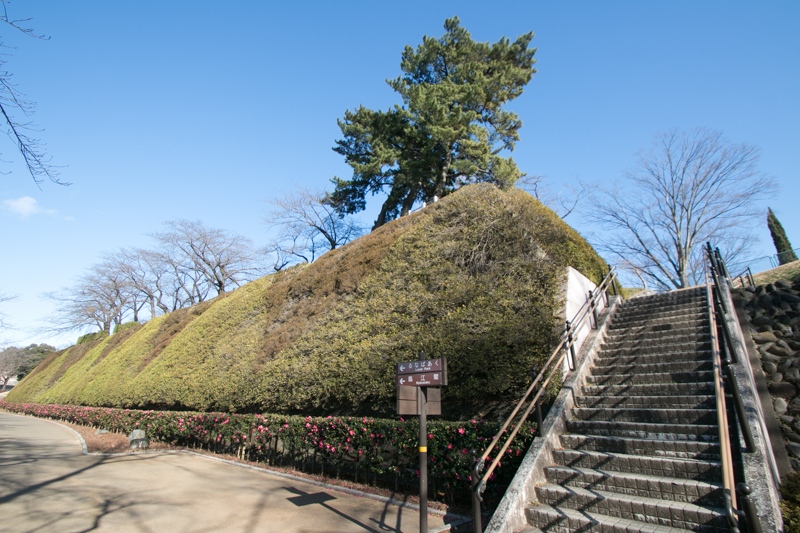 But in 1569, an alliance of Hojyo clan and Uesugi clan was established, and Takahiro returned to Uesugi clan with the castle. When Uesugi clan transferred Kouzuke province to Takeda clan among the “Otate no Ran”, their internal conflict, Takahiro and Maebashi castle moved to Takeda clan in 1579. 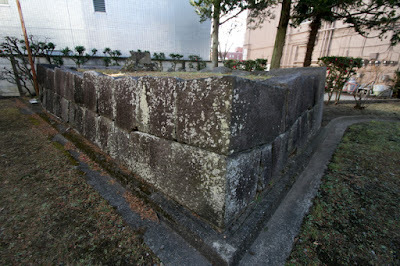 Further when Takeda clan was extinghished in 1582 by Oda clan, Kazumasu Takigawa (1525-1586), the regional commander of Oda army resided Maebashi castle, but only after 3 month, as a result of accident of Honnoji, Kazumasu had to abandon Maebashi castle and return to his nation. Finally Hojyo clan seized this castle, but Hojyo clan itself was also extincted by Odawara campaign by central ruler Hideyoshi Toyotomi (1537-1598) in 1590. After the extinction of Hojyo clan, Ieyasu Tokugawa (1543-1616) became the lord of Kanto region under Toyotomi government. As an important point, Ieyasu placed Chikayoshi Hiraiwa (1542-1612), his veteran hereditary general on this castle. 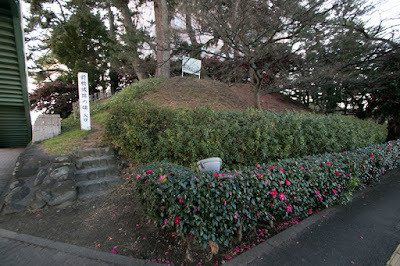 After Chikayoshi, Sakai clan, an important house of relative of Shogun, became the commander of the castle. 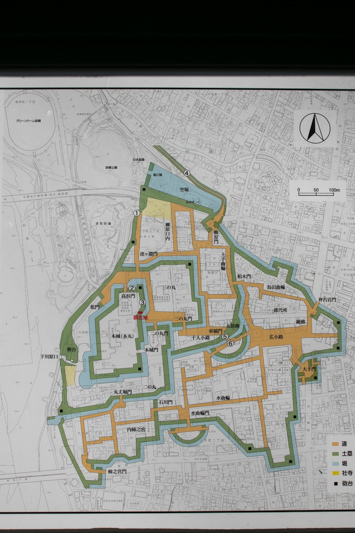 Sakai clan expanded Mabashi castle into a huge one having multiple layers of areas and total size of 1 kilometer square. 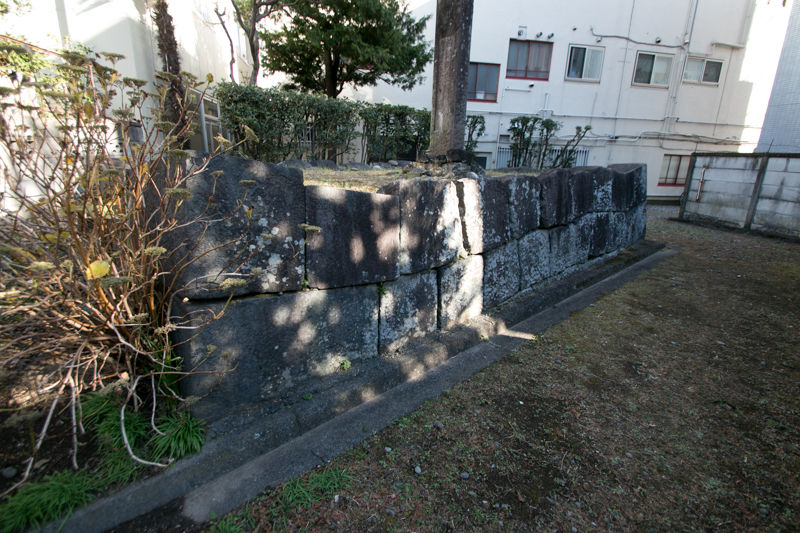 Even though stone walls were not used, a three story main tower and other turrets were built.Throughout Edo era, relatives or important retainer of Shogun including Tairo (Grand Minister) had served the commander of the castle, same as Takasaki castle (Takasaki city) at neighbor place. 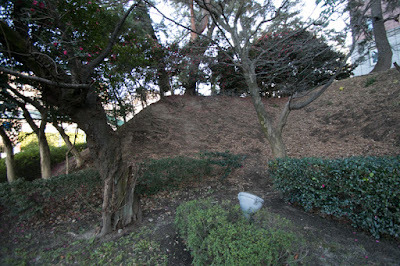 But swift stream of Tonegawa river gradually destruct the castle. 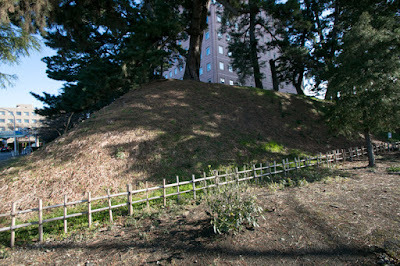 By the mid of Edo era, north western area of the castle was totally collapsed, and central area became in danger situation. As current lord Matsudaira clan had financial problem, they gave up to keep Maebashi castle and moved to Kawagoe castle. 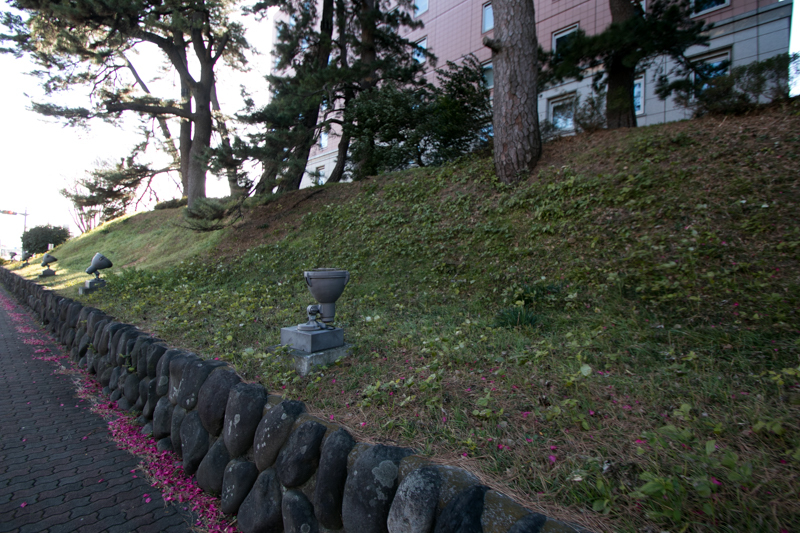 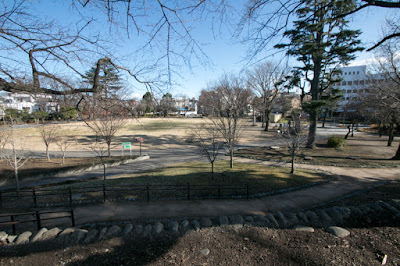 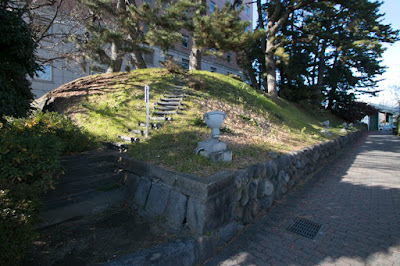 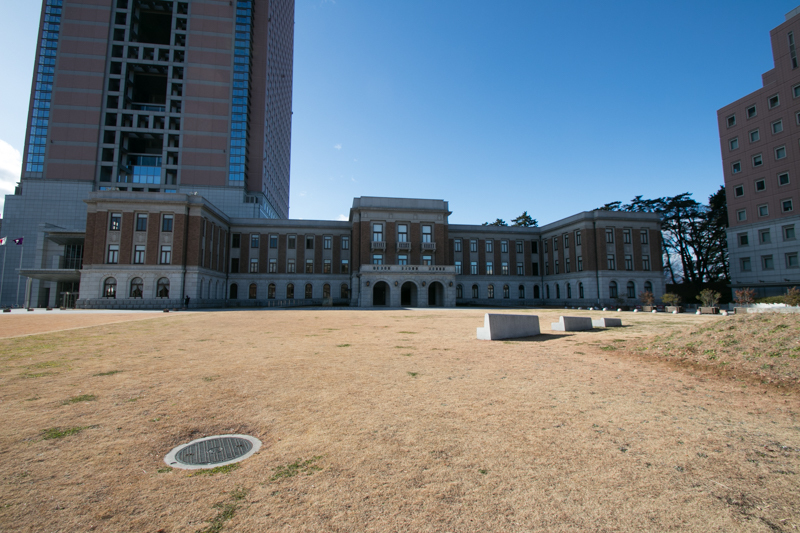 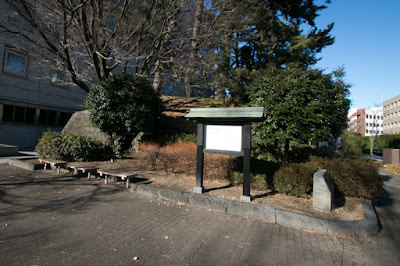 Maebashi city was governed as detached territory and Maebashi castle was once abandoned. 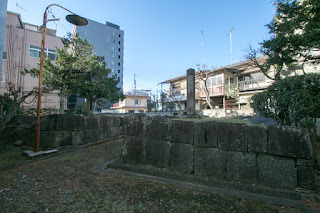 Later at the end of Edo era, supported by export of raw silk made around Maebashi area, the situation of Maebashi city and Matsudaira clan rapidly improved. Under such circumstance, local people strongly hoped reconstruction of castle and return of their lord, and they provided financial aids. In addition to this, Edo shogunate which looked for evacuation place of Shogun in case of accident with foreign country, agreed this idea. As above, reconstruction of Maebashi castle was approved and new castle completed in 1866. 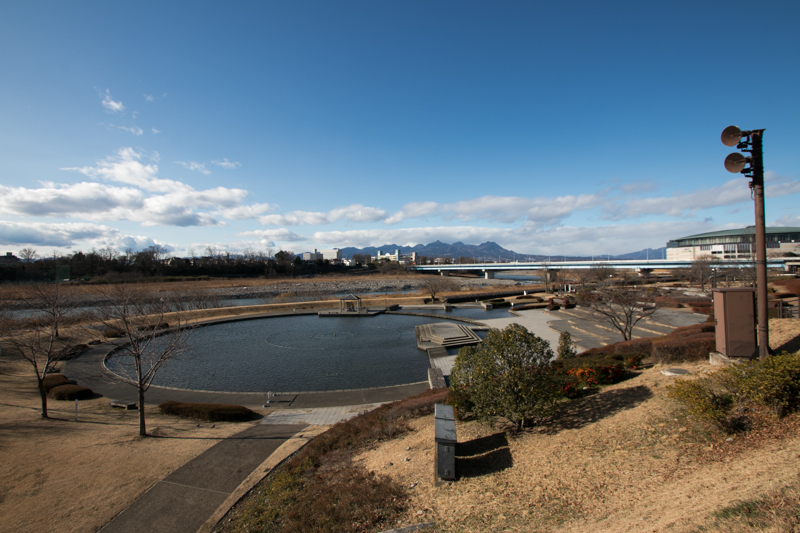 The shape of new Maebashi castle was mostly the same as former one, but central area was built a little apart from riverside. 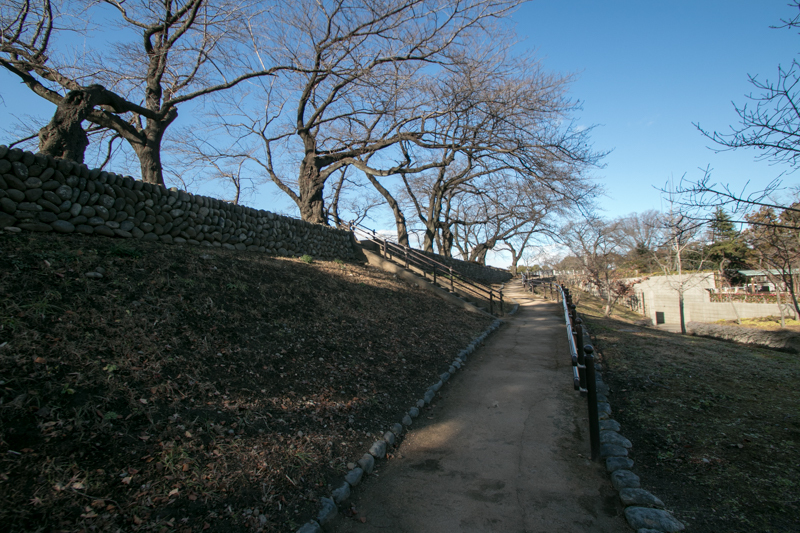 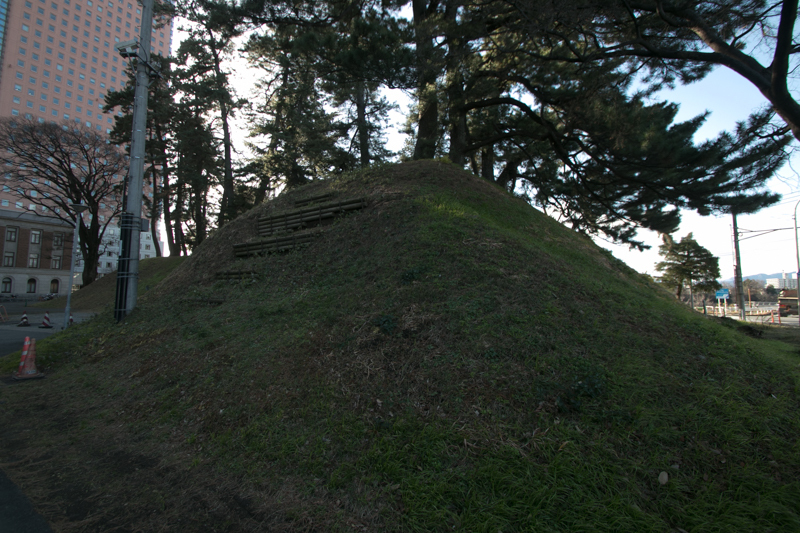 The wall of outer barrier was shaped with zigzag line to erase the dead angle, and like western fortress batteries were built at the edge of projection area. 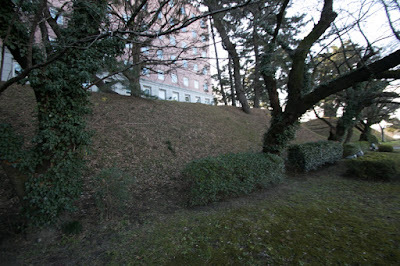 In front of main gate a clay barrier was built, to avoid direct shot of cannon. New Maebashi castle was the last castle built during Edo era, and also virtually last castle of Japan except for military fortress. Subsequent to Meiji revolution, just half year after completion, Maebashi castle was abolished. 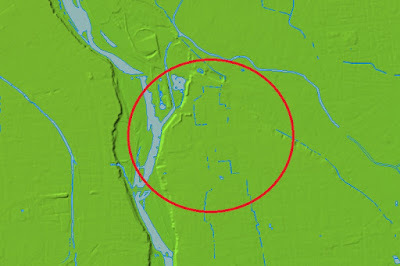 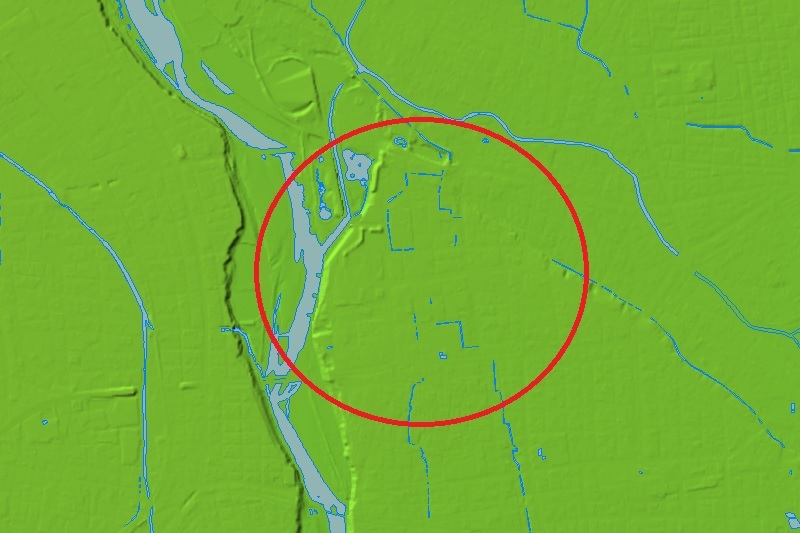 All buildings and many forts were lost, and main areas were used for local government offices. Buildings of central palace had been used 50 years as a government office after that, but also dismantled at the beginning of 20th century. 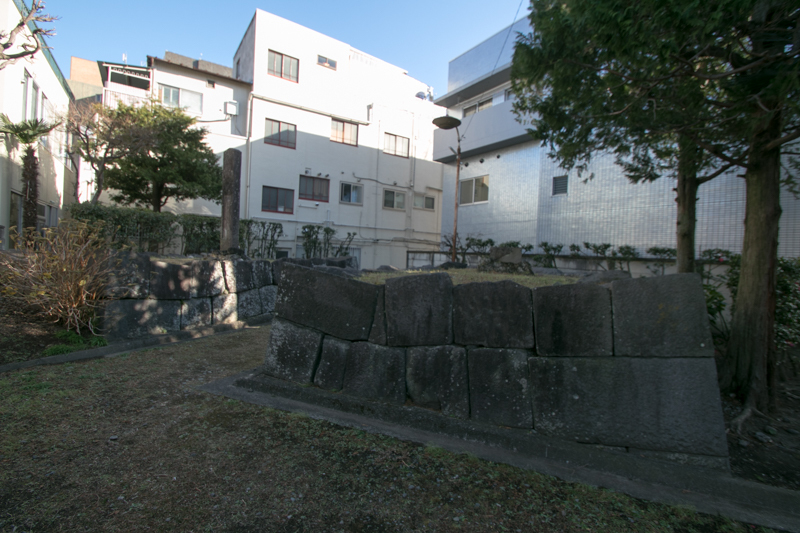 Now only a small part of clay wall of central area and third area still remain, and stone walls of main gate exist even though moved from original place. But when we see the stream of Tone river from the castle, we can easily imagine necessity of castle and fury of nature. 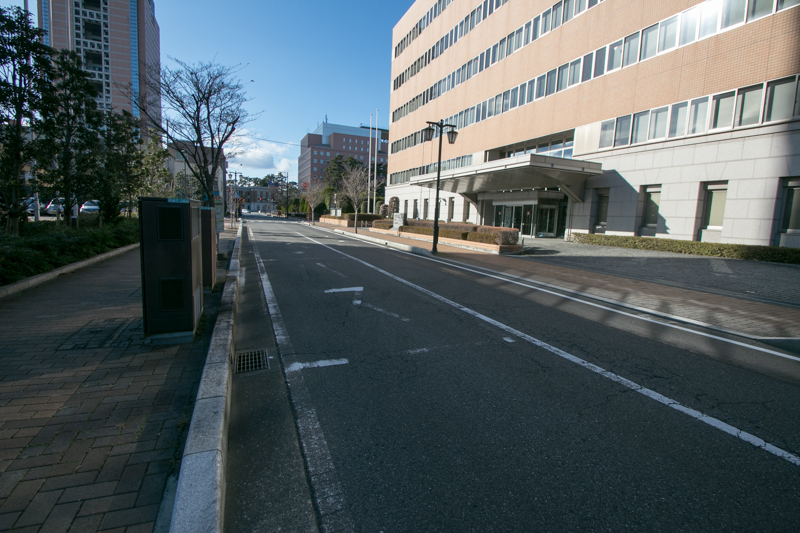 20 minutes walk from JR East Ryomo-sen line Maebashi station. 15 minutes drive from Kanetsu-Jidoshado Expressway Maebashi interchange.